TOKYO — Asian shares made early gains on Thursday as upbeat Wall Street earnings supported global investor sentiment, although trade war jitters pushed China’s offshore yuan to a fresh one-year low. The dollar retreated from a three-week high as investors cashed in on gains the currency made after US Federal Reserve Chairman Jerome Powell’s two-day testimony reinforced a strong economic outlook. MSCI’s broadest index of Asia-Pacific shares outside Japan rose 0.53 percent, while Japan’s Nikkei and the Australian benchmark advanced 0.42 percent and 0.38 percent, respectively. “While strong US corporate earnings certainly helped boost sentiments, but that’s not enough to push the stocks meaningfully higher from here,” said Yasuo Sakuma, chief investment officer at Libra Investments. 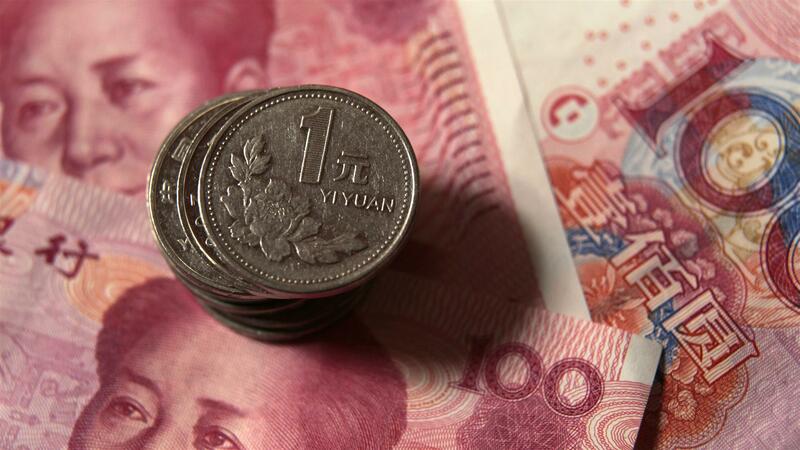 On the foreign exchange market, the trade war fears between the United States and China kept the offshore yuan to 6.7650 per dollar, to hit its lowest level since July, 2017. The dollar index against a basket of six major currencies , rose to a three-week high of 95.4 before settling around 95.08, up 0.2 percent. Against the Japanese yen, the dollar hit a 6-1/2 month high of 113.140 yen on Wednesday. The euro was down 0.16 percent to $1.164. Benchmark US 10-year notes fell in price to yield 2.875 percent, from 2.862 percent on Tuesday. The US yield curve remained near its flattest in nearly 11 years. Oil prices rose 1.0 percent overnight after US government data indicated bullish demand for gasoline and distillates, which overshadowed a surprise build in US crude inventories and US crude oil production’s hitting 11 million barrels per day for the first time. US crude last traded at $68.86 per barrel, up 0.15 percent on the day, and Brent was at $72.82, down 0.11 percent, in Asian trade.